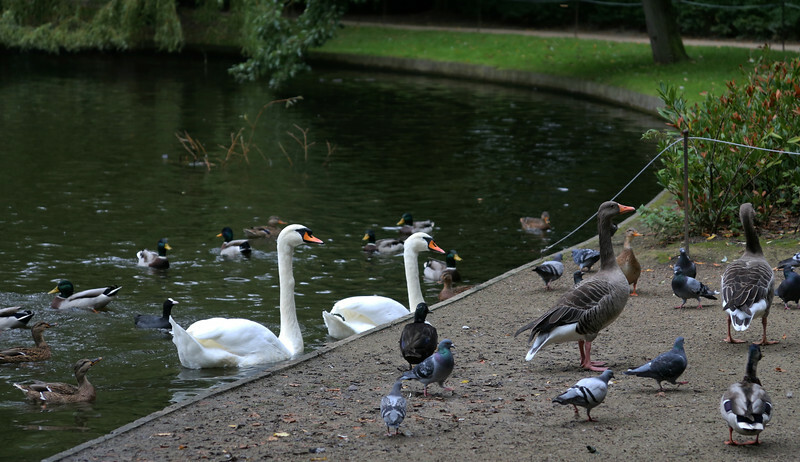 Frederiksberg Park boasts a rich bird life with an established population of Herons and Graylags - as well as being a bird sanctuary for many other obviously hungry bird species. I saw a Heron sitting in a tree but missed the photo. I wouldn't know a Graylag if I fell over it. There are also now a few white peacocks which are very popular...if you can find one.